Why do I worry so? Why am I so worried for today? What is it their words could do? 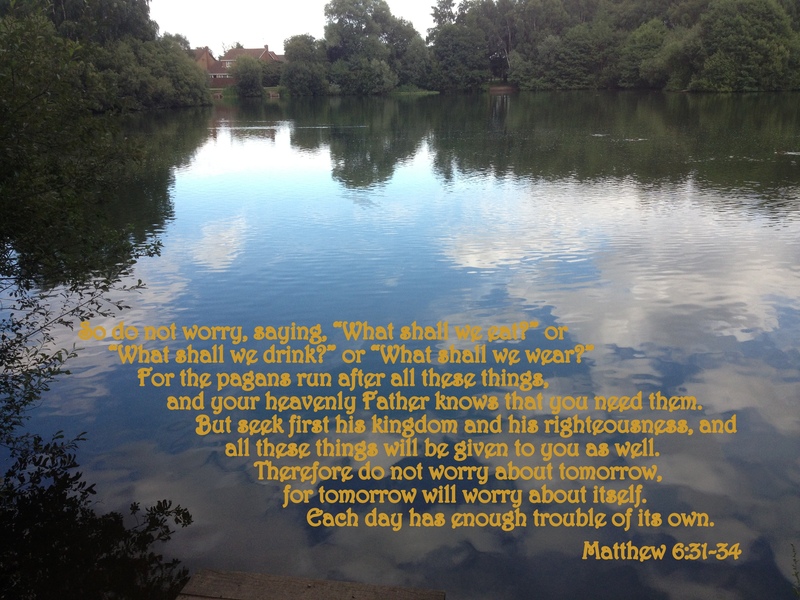 This entry was posted in Faith, Poetry, Verse of the Day and tagged Bible Verse, Christ, Faith, Freedom, God, Grace, Hope, Inspiration, Jesus, Love, Matthew 6:31-34, Mercy, Peace, Poetry, Praise, Pray, Prayer on September 4, 2016 by waynemali. For me at can be so easy to worry about everything around me, it’s my natural self. I’ve met with the Architect’s this week, still no money forthcoming in the short terms, which makes things rather difficult and tight right after Christmas, but as there is nothing I can do about it. So I’m trying to do my best, stop worrying and keep faith. 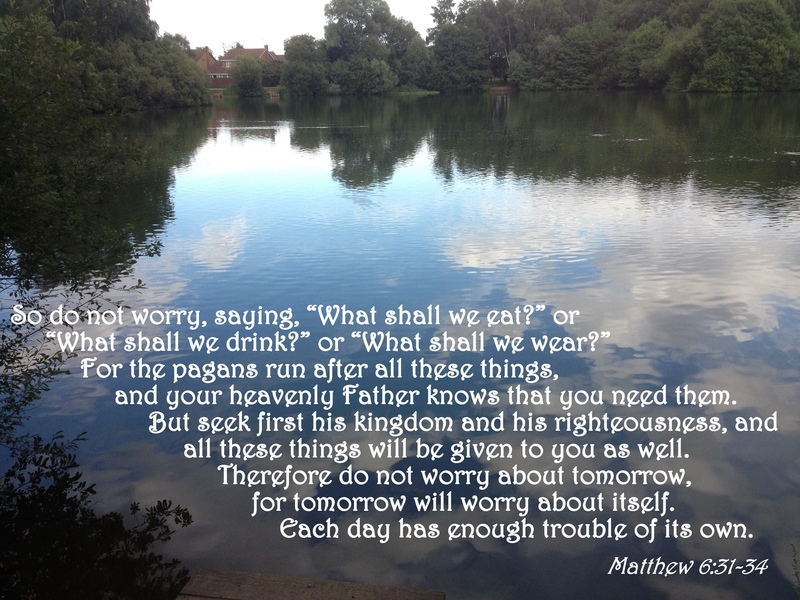 This entry was posted in Faith, Verse of the Day and tagged Bible Verse, Christ, Depression, Faith, Finances, God, It's A Garden, Jake Hamilton, Jesus, Matthew 6:31-34, Stress, Worry on January 8, 2014 by waynemali.